the oldest cemetery on Sydney's North Shore. Paying special attention to the styles, architecture and designs of early Sydney. There are tales on this tour of grand adventure, love, lust, greed, murder, cannibalism, mayhem and intrigue from our Georgian and Victorian era past. With so many reports of paranormal activity on the north shore, you never know who might make their "presence" felt. It is even more likely that you may never look at the north side of the harbour quite the same way again. Are you brave enough to want to find out about Sydney's hidden secrets? 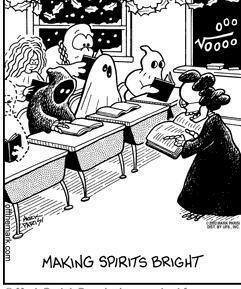 We have a lot of good fun and belly laughs on Sydney Ghost Tours. Most people just come in comfortable, casual evening clothes. If you decide that you want to really make a night out of it, walk on the wild side and dress up as your favourite spooky figure - knock yourself out. Just bring something warm, and good walking shoes - it gets cold sometimes, and graveyards are very unforgiving on high heels...! Our tours are conducted by walking on public property only. A number of the things we talk about happen on government and private property, that having people walk through risks either damaging the site, or poses unacceptable risk to life and limb - for example one of them is currently an abandoned building site where people have been injured. So we will show you as much as we can, while we follow the law, preserve the sites, and your life and limbs. Annabelle Lewer- Fletcher, on behalf of UNSW Art & Design, has arranged with Daniel Phillips, the owner of SydneyGhostTour.Com to create an exclusive group that you are invited to be a part of. To join the group, you will need to move quickly. We can only accommodate a fairly small number, and you need to get yourself and anyone you would like to bring with you on this ghost tour, into the system and processed ASAP. Ticket prices on this tour are $35.00 per concession eligible adult - please press the blue " add to cart' button, and grab your tickets below!